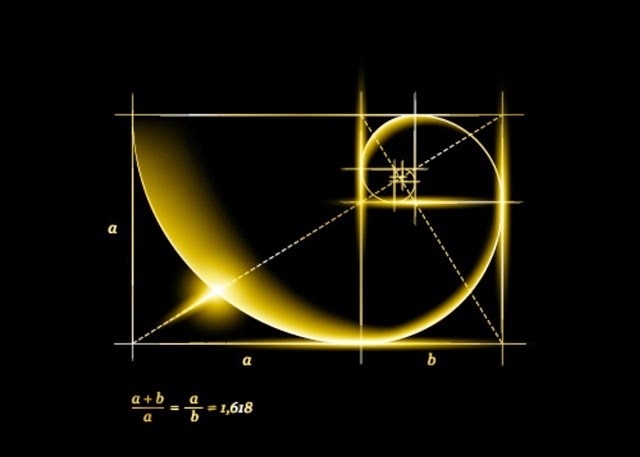 Phi, Golden Ratio and the Magic of Fibonacci Numbers ! Phi or the Golden Ratio, 1.618 .... also referred to as the 'Golden Number' or 'Golden Mean' at times is a term used to describe the relationship derived from dividing a line at its golden section point, the point at which the ratio of the line (A) to the larger section (B) is the same as the ratio of the larger section (B) to the smaller section (C). Phi, Φ, 1.618…, has two properties that make it unique among all numbers. Φ² = Φ + 1. 1 / Φ = Φ – 1. "PHI: The Evolution of Consciousness" is an upcoming feature length documentary that bridges the gap between science and spirituality by recognizing the golden ratio throughout the universe. It explores a brilliant array of perspectives on what could be next for Earth as we know it. The Film is set to release in late fall of 2014. "PHI" features interviews with MDs, Professors, Yogis and Healers, psychologists and psychics. This artistic documentary gives a vast insight into the age old contemplations of man, and brings ancient concepts into a new light of the modern world. "PHI" asks how we can become more conscious and united as a people on earth, and on an individual level to get the very most out of our lives. Φ or "Phi" is a golden numeric ratio that is found throughout nature, the human body and the cosmos. It mathematically expresses the way plants grow, galaxies spiral, and is seen as a key to the grand design of the universe. It is known as the "golden proportion" for this reason. Let us consider that humankind is constantly changing and evolving. Consciousness on earth has grown from that of plants animals to where humans are now, and it will continue to grow. As we emerge into an age of instant global communication, our ability to perceive, understand and connect in our minds must match the capacity of technology, if we are to to develop to our highest capability. -Cosmic consciousness, planetary, universal, collective , group, idea consciousness. -The rhythmic harmony of the universe: waves, music, heartbeat, resonance. This particular video has a rather strong religious overtone, however it does make sense for it speaks of intelligent design by ... ahmm, God ! Perhaps this god they refer to might well be one of the Annunaki Kings ... A Highly Advanced Genetic Engineer from Nibiru !